Call 704-802-9823 to schedule your first appointment. If you find yourself asking others to repeat themselves or avoiding crowded places out of fear of not being able to hear, you may benefit from the use of a hearing aid. Turn to Miracle-Ear® when you need high-quality hearing aids in Matthews, NC. You'll appreciate the benefits of working with an individually owned and operated center that's backed by America's most recognized brand of hearing aids with over 1300 locations nationwide. Our hearing aids are of the highest quality available, and our GENIUS™ Technology features cutting-edge innovations. With the GENIUS™ Technology, you can hear more clearly and listen to your favorite sounds no matter which direction you may be facing. With no annoying wind sounds or feedback, you'll find great value in our hearing aids and our service. Our hearing aids are designed with discreetness in mind and will last with an excellent battery life. Our hearing aid center also offers hearing aids that are set up with Bluetooth® capabilities so you can easily hear calls and listen to music. You can experience an array of benefits when you work with the Hearing Care Specialists at Miracle-Ear. Whether you're looking for hearing aids that are discreet or a hearing aid that can be controlled by your phone, we've got it covered. We offer a mixture of services to satisfy your needs, including hearing aid repairs and free hearing tests*. Come by our location in Matthews today so we can prove why we're the number one brand in the nation. Sharon began her career in the hearing care industry in 2012. Her education is in the sciences and she has always enjoyed and succeeded in helping people. 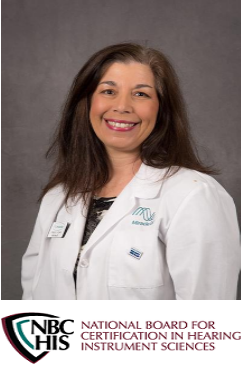 She is a State Licensed Hearing Instrument Specialist, and is a proud member of the International Hearing Society. Sharon is in this practice to help everyone achieve their optimal health through better hearing. Hearing loss has an impact on the lives of many people. Her goal is to always provide each and every patient with the most thorough hearing evaluation and to find the most appropriate and effective solution to treat her patients' hearing loss. The success that her patients achieve astounds Sharon every day. She recalled one particular instance, "I remember a patient who questioned whether hearing aids would change his world. I asked if he would give me the opportunity to let him hear again and he agreed. At his first fitting, he and his wife started talking; they both started crying because they realized just how difficult it had been prior to hearing aids and they were now able to have a conversation without repeating everything multiple times. This type of rewarding experience is what drives me to help others." Tracie Jenkins joined the Miracle-Ear organization in 2013 and is grateful to have found a position that allows her to pursue her passion for building relationships and helping others. Customer Relations has always been a huge part of her life for well over 20 years. She said, "I love developing relationships; it is not just a cliché for me. At the end of each day, I hope to have built a new patient relationship." 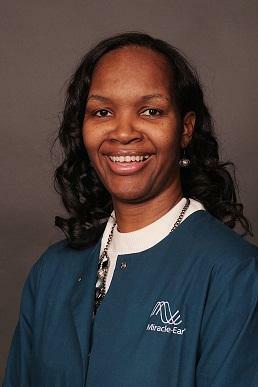 Tracie grew up in Monroe, NC and studied at Winston-Salem State University. She is married to an awesome husband with three beautiful kids: one son and two daughters. Her children keep her very busy with a wide variety of interests which include: sports, reading, and music.